Always Aubrey: I made a dress! Emily has taught me everything I know about sewing, from threading a machine on down. I went back on Monday for a dress-making class, because I was having some trouble with my apparel sewing, and this class was an awesome opportunity to learn some more. We started by sketching dresses on a croquis figure, then transferred that design onto a dress form. Using muslin, then pattern paper, we made a bodice and skirt pattern for the dress. I really liked learning how designers go from a sketch to a pattern to a garment. I felt very 'Project Runway' and appreciated everything Emily had to show me. Sidebar... the fabric selection at Fabrika is to die for! I want a little of everything, so I chose not to bring my own fabric to the class. I wasn't disappointed; I adore the print that I chose! I was also glad to review how to do a zipper (invisible ones are the best! 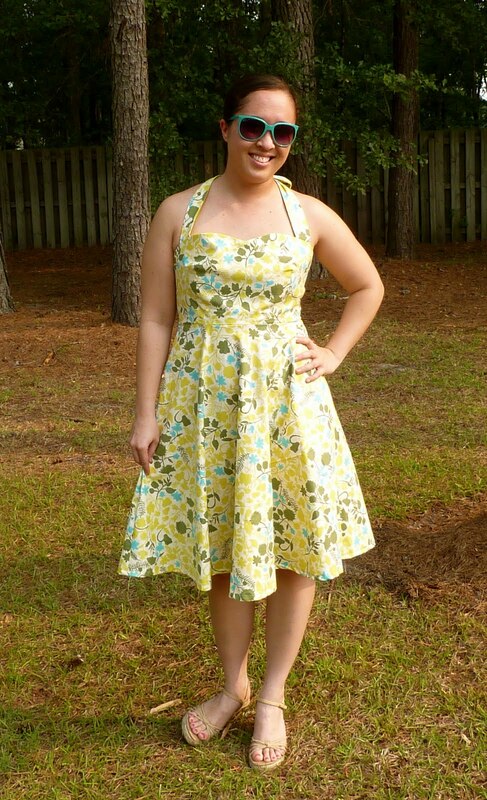 ), how to sew darts, and how to properly hem the skirt. 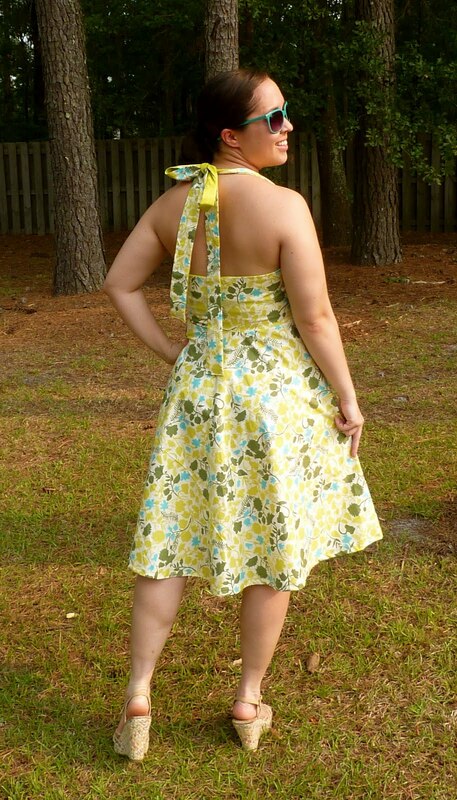 We did a tie-halter dress with a sweetheart neckline and A-line skirt. I love it! I am now super-excited to sew my next project. I'm not a huge fan of this photo... I think it makes me look wider for some reason. But it shows off the dress nicely! Aubrey I'm so proud of you sweet girl. Awesome job on the dress! Thank you!!! It is really turning into a hobby I enjoy.